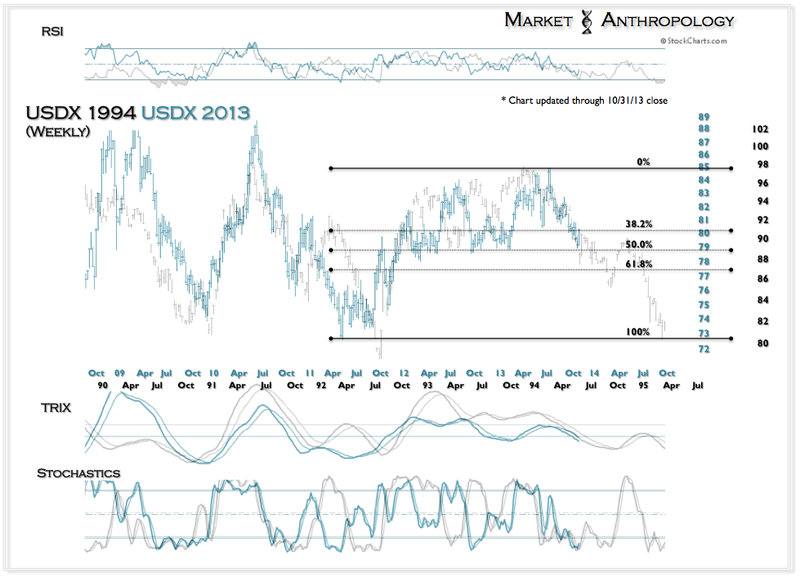 The US dollar index hit the relief valve around its 50% retracement level - launching the index some 2% higher for the week. 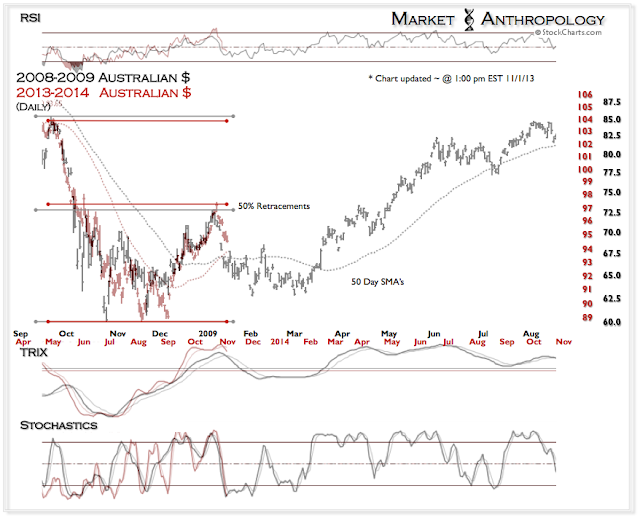 Although it's rattled the already fragile resolve of the commodity markets and asset sectors closely tied to it, we view the move as representative of a classic bear market rally. 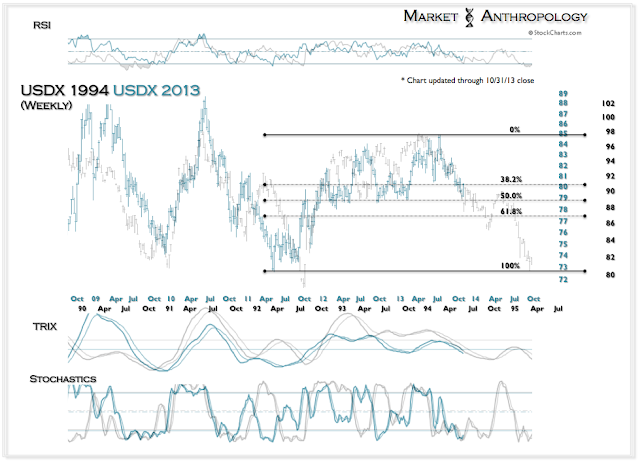 We also see it as another opportunity to rebalance positions that should outperform - as we expect the fast move in the dollar to reverse lower over the next few weeks. 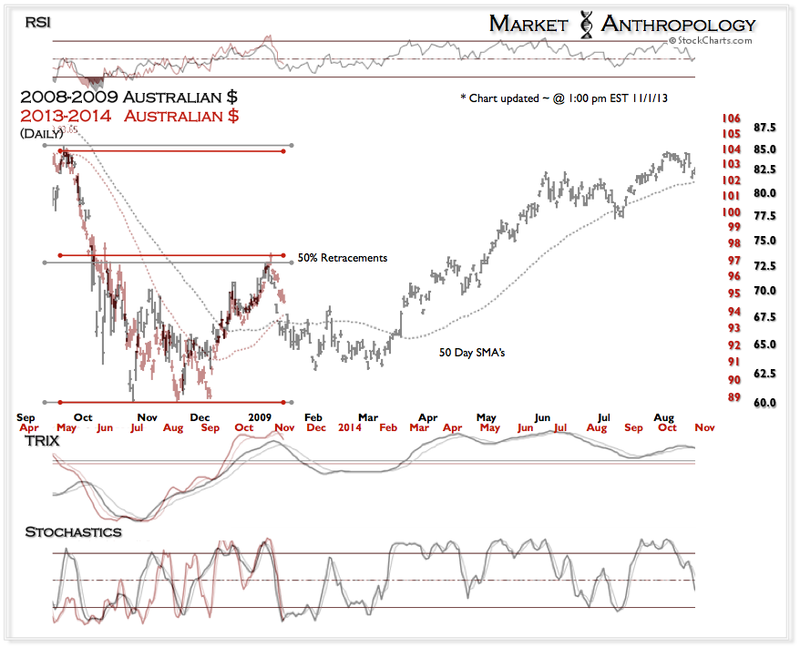 The Australian dollar continues to work its way down the retracement profile of its historic waterfall decline from 2008 and 2009. 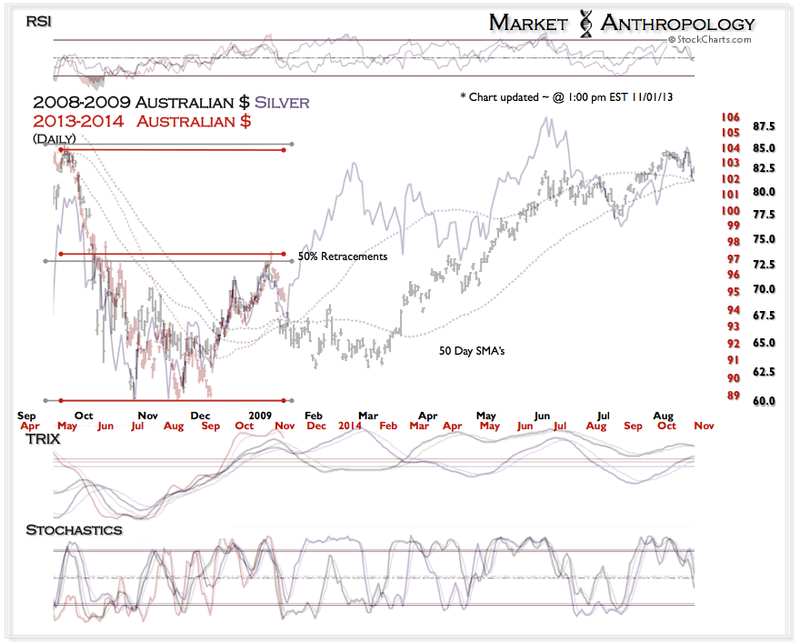 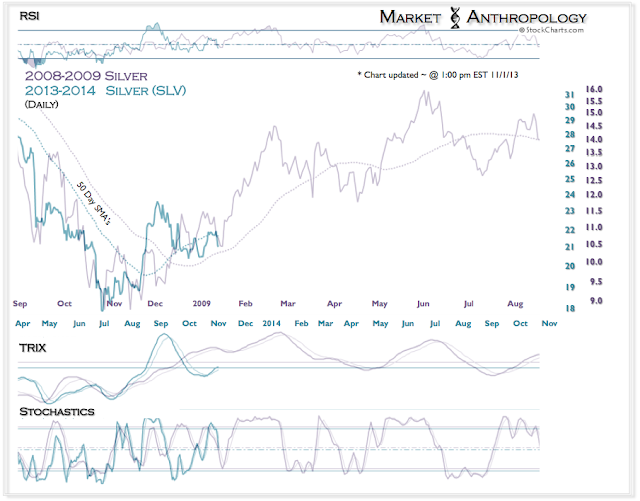 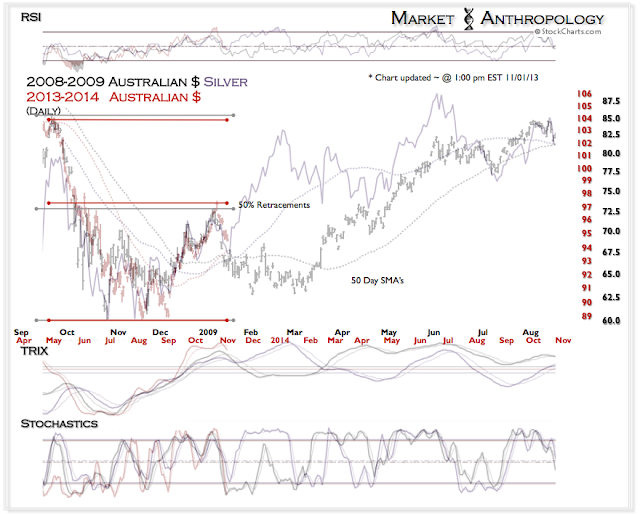 As was the case in 2009, we would expect those leading reflationary proxies like silver, to begin outperforming as the Aussie completes its retracement contractual agreements. The bigger picture, and one that we have not viewed as bearish towards risk appetites in general - is that the torch is now being passed back from the US to those regions that have underperformed over the past few years - and that have stoked world-wide growth and reflationary trends higher. 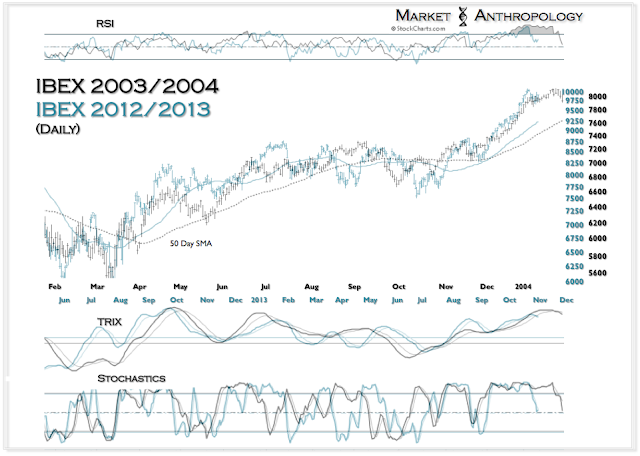 Since this summer we have preferred emerging equity markets versus the SPX and see no reason to shift that posture. 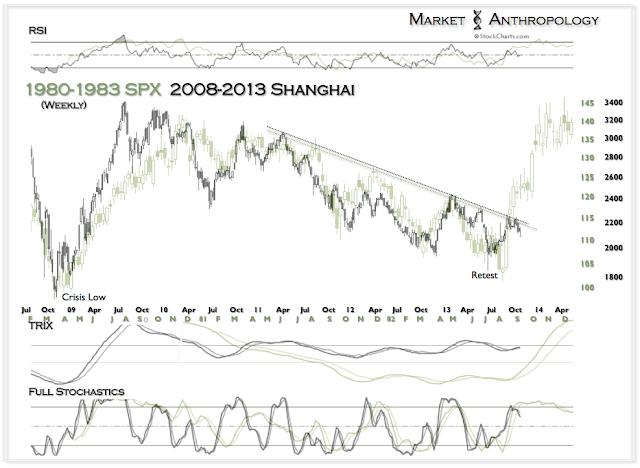 Although the Shanghai Composite Index has recently been rejected by overhead resistance - we anticipate the next drive higher will break through. 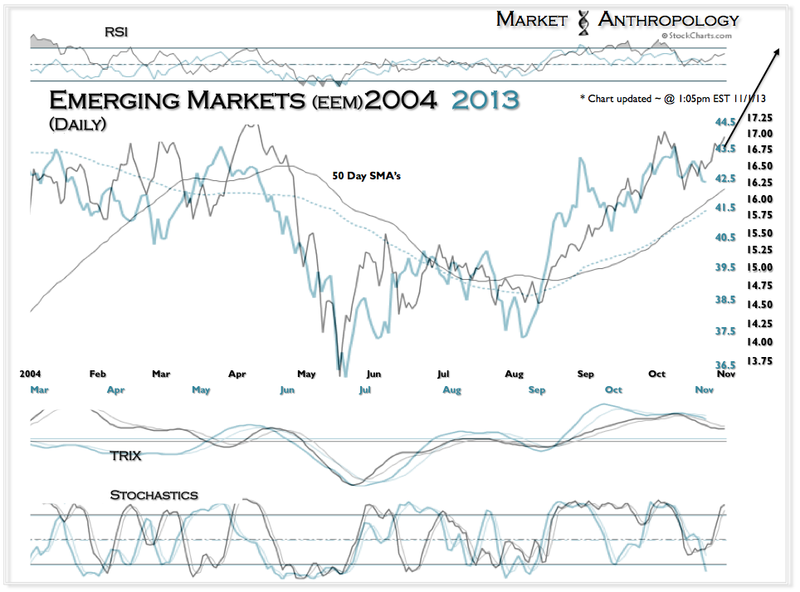 We still like Europe, namely Spain - but as shown below in our IBEX comparative from this summer - the lions share of this breakout leg has been captured. 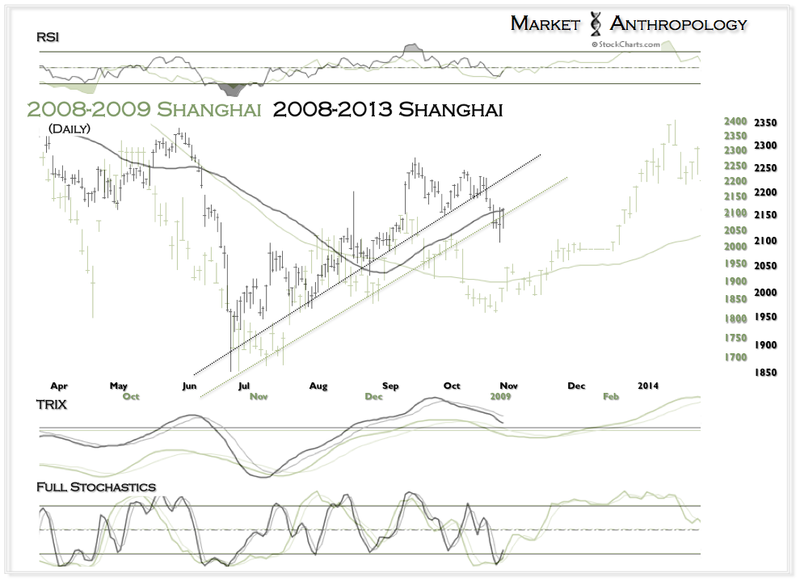 We anticipate emerging markets and China to outperform over an intermediate time-frame (~ 3-6 months).